"A Night To Remember" inspired by the 2008 Labyrinth Festival, Japan. Paul St. Hilaire appears courtesy of False Tuned. without you none of this would be possible. This one and Yagya's Rigning and dub techno is done for me. There is no need to make more of this genre. This is quite an amazing album, even by the high standards of the echospace [detroit] label. It's got everything you could want: ambience, deep beats, crackling textures and an overall sense of sublime beauty. "Little Angel," for instance, is a breathtaking piece -- it's simple composition allows the gorgeous melody and vocals to totally envelope the listener. Overall, the album is loaded with quality dub techno music at around 80 minutes. Is it worth the $700+ (as currently listed on amazon.ca)? I personally don't think any record is worth that much, but the rarity and quality of this release is surely what pushed the price so high. As I write this, not even one seller on Discogs has it up for sale. So hear it any way you can (Grooveshark is a good option), because it's a must for any dub techno or ambient fan. One of my personal favorite albums on this label. I keep coming back to it and time after time I discover something new, one of my favorite discoveries in 2009. I never thought I would see the day when an artist could take the Basic Channel sound I adore so much and make it their own, this is gorgeous from start to finish. 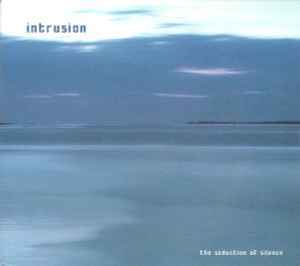 The dub sound of Intrusion is like an early stroll along the empty beach. Waves of white noise and minor chords splash and bounce against the glistening, polished, and rolling bass. The rhythm is measured, natural and hypnotic. The background four-four beat creates a trance-like experience. And the overall emotion is indeed seductive. Although the formula behind the production builds up on the previous successful sound of Echospace, the warmer side of the duo perfects the minimalism by injecting a fusion of Jamaican and South African dub. And it works. I could listen to this album over and over, like a head cleaner, after dense days, heavy nights and exhausting people. The minimal dub techno sound of Intrusion no doubt belongs to none other than Stephen Hitchell, one half of the above mentioned Echospace, who along with Rod Modell froze our hearts with The Coldest Season (Modern Love, 2007). Where as the latter critically acclaimed album captured the lower spectrum of the virtual thermometer with swishes of wind and falling snow, The Seduction Of Silence is more than a few degrees warmer. This is indeed a lovely twilight stroll under the ocean. The album is the first full length solo release for Hitchell, inadvertently compiling previously released EPs and 12-inchers. This may, perhaps, be an answer to a solo release by Modell, Incense and Black Light (Plop, 2007), with Hitchell taking his turn to demonstrate his individuality. The album welcomes an appearance by Paul St. Hilaire (Tikiman), where the Dominican artist contributed reggae vocals. The tracks morph into one another with swells of white noise, sometimes clocking in at over 11 minutes long. Tswana Dub is perhaps one of my favorites, having previously appeared as a limited 12" on Intrusion's sub-label of Echospace. Recommended if you appreciate the sound of minimal dub from Modern Love and Basic Channel, as well as Yagya, Gas, and of course, DeepChord Presents Echospace. Last minute edit: be sure to pickup the latest release on Echospace [detroit] by Brock Van Wey (aka bvdub) titled White Clouds Drift On And On. This is a double disk release with the second part full of Hitchell's interpretations of Wey's original works. Truly sublime. Back to back! Peaks of 2009 by .303.